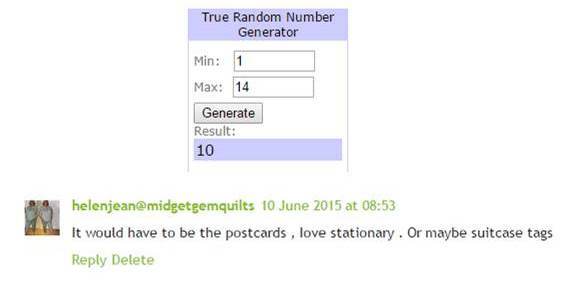 Up first is the draw for my Zazzle £50 giveaway! Congratulations Helen! I will pass your email address onto Zazzle so you can get your voucher and start shopping! Thank you everyone for taking part! I will have another giveaway in no time at all! And before I go, just time to show you June’s blocks in the Siblings Together Bee (2). These 15″ blocks are for Helen. This will be another brilliant ‘boy’ quilt! The tally of quilts for this years’ ST summer camps is nearing 90! Not far away from the 100 target, but only a few weeks left!!! Hope you got to enjoy some lovely sunshine today! Previous Previous post: Baby Fun! Next Next post: Small Pieces!